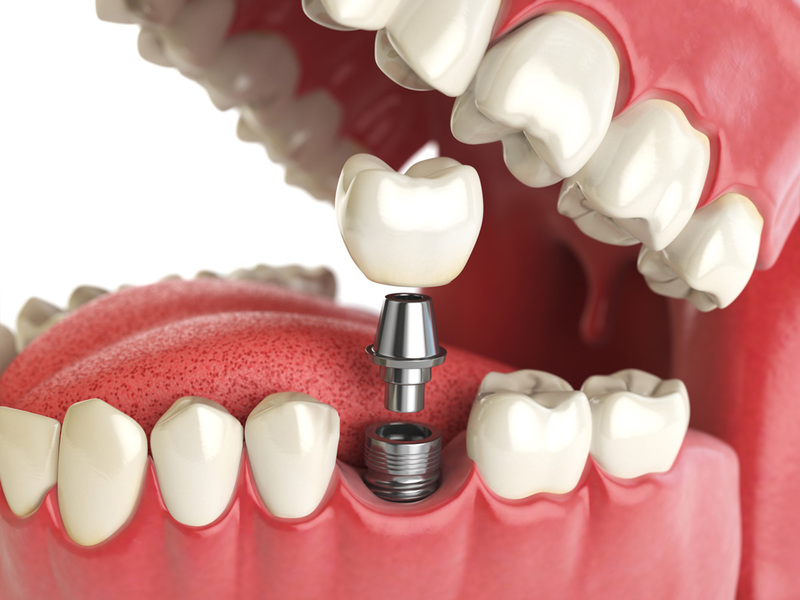 Why is a Tooth Implant Right for You? Many dentists now recommend a tooth implant over other tooth replacement procedures such as partial dentures or fixed bridges. Dentures sit on the gums and can become loose. Fixed bridges require grinding down surrounding teeth. Dental implants, however, are fused right into the jaw bone and are the preferred long term tooth replacement option for adults with missing teeth. Even though dentures and fixed bridges are viable options for replacing missing teeth in adults, they are not without their complications. Dentures can become loose and make clicking sounds when the wearer is eating or speaking. Fixed bridges can damage otherwise healthy teeth. Dental implants continue to provide better long term results for tooth replacement because they are surgically fused into the jaw bone. Once they are properly integrated into the jaw, they look and function just like your natural teeth. They also stimulate the jaw bone, which helps prevent the bone loss that occurs when teeth become missing. Since they are made of titanium, they are resistant to tooth decay. "I don't usually go to physicians or doctors that are out of my territory - so to speak - Matthews for me is a distance. But because I enjoy coming and I find such a reward and experience, I don't even think about it." With proper care and good oral hygiene, dental implants can be a lifetime solution for replacing missing teeth. Schedule your tooth implant consultation with Dr. Green in Matthews, NC today!